Students discover the variety of rocks and minerals with this collection. 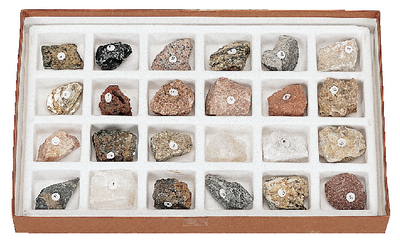 The compact collection of 24 samples provides students with a general study of rocks and minerals. The set includes a study guide. Ordering information: This kit includes 6 igneous rocks, 6 metamorphic rocks, 6 sedimentary rocks, and 6 common minerals.